For men, it becomes an important part of their daily routine. At least for those who enjoy a nice smooth face on a daily basis. Since "facial hair" is "IN" right now...maybe there is a little less routine for some guys, but it's still a part of every man's life now and again. Our oldest son has started shaving his little "stache", and there will be three more "little men" who will follow suit shortly. Soon, we will have five guys shaving their faces in our home! That's a lot of facial hair! 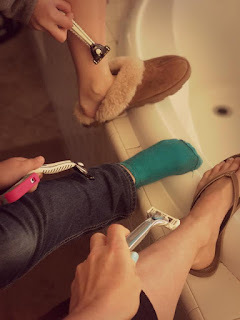 For ladies, shaving is a MUST! There are so many parts of our bodies that we shave...we might as well have been born without hair, because us "AMERICAN women" SHAVE almost everything! All three of us ladies in the house, shave legs & most definitely under arm areas. Once, again, that's a lot of hair removal going on in our house. 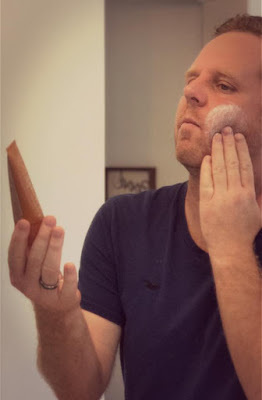 When I started dating my "soon to be husband", I was a disposable razor user. Might I add, I was notorious for cutting myself almost every time I shaved my legs too! So I am not a HUGE fan of shaving, but I have to SHAVE! 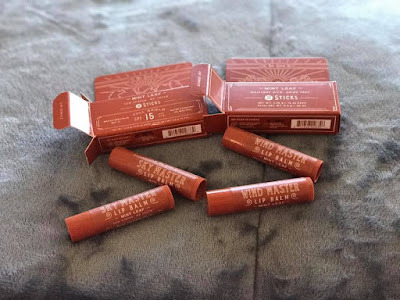 Since I was the only one, at the time, in our little town home that shaved, it was no big deal for me to head to Target, buy a bag of disposable razors, use them and toss them as I went. He introduced me to something that he used...which made shaving (believe it or not), a much easier (the razors were so much nicer, sharper, and I cut myself a whole lot less) and made for a much more pleasant experience overall. HE, on the other hand, was a member of Dollar Shave Club!! Every month, he would receive a shipment of razor blades and sometimes other products he used for his face & skin. His mom even buys her son's their stocking stuffers from Dollar Shave Club. At the time, he only used the 4X razor and blades...but he has since upgraded to the 6X razor and blades. I, on the other hand have joined too and now use the 4X razor and blades for my shaving necessities. 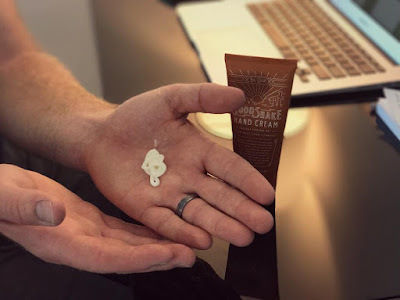 How does Dollar Shave Club work, you ask? It's so simple you're going to want to do it too! First, you pick the razor and blades that you want. 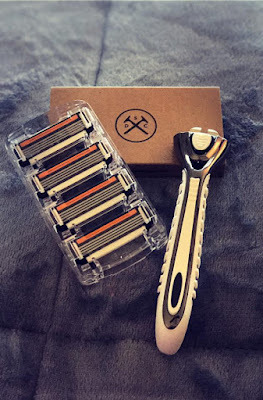 You pay $1 for the first package to ship (your razor handle, and includes free shipping). After the first month, you can schedule deliveries of refill blades every month (or even every other month). The cost is $3, $6, or $9 a delivery. YOU CAN CANCEL ANYTIME, there is no long term commitment! It's awesome, because they ship and charge me and I don't even really realize it, but I have yet to run out of blades too, which is PERFECT. Plus, since there are three ladies using razors in the house for our bodies and two guys using razors for our faces, it's awesome to constantly have a stream of new blades being delivered all the time. 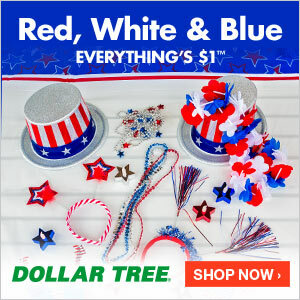 They also have a great online store with other products, that cater mainly to men. Like I said above, his mom puts these products in her son's stockings at Christmas! We received a few of these to try out and honestly, tall the boys in the house were excited. All of them are products he will be ordering again too. We received products from their PROTECT LINE. My soon to be hubby works outside in all types of weather (rain, sunshine, cold and heat), cleaning windows...so the environment really tears up his skin. Because he works with water all day long too, his hands are dried out a lot and need constant moisurizing, or they will crack. 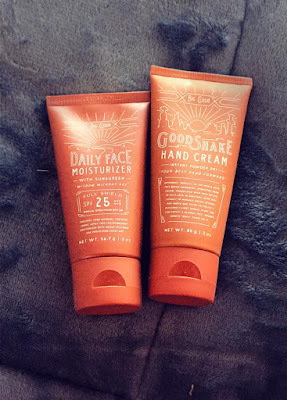 So finding a good hand lotion/hand cream for him is important and the "GOOD SHAKE" hand cream works great! 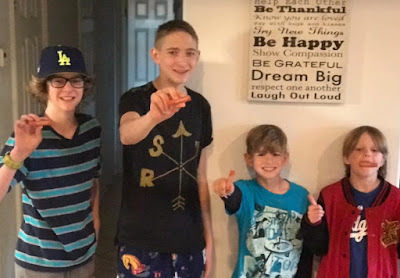 The boys were excited about the "GUY" lip balm (SKY MASTER AND WIND MASTER LIP BALM)...we received four, which was perfect, because each of our son's now has one to carry in their backpack to school...in case their lips get dry or chapped. 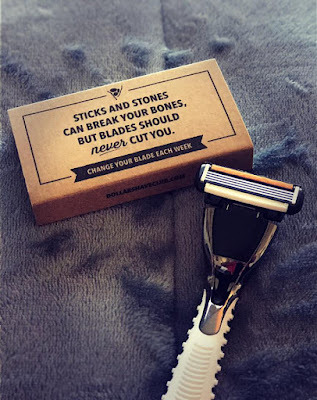 Do you buy razors in your house? Does anyone in your house shave? Silly question, right? 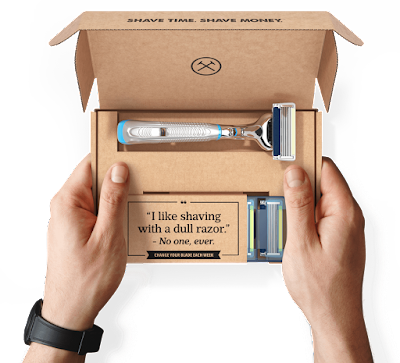 Perhaps DOLLAR SHAVE CLUB would be the BEST idea for your family too! CLICK HERE to sign up or to learn more! 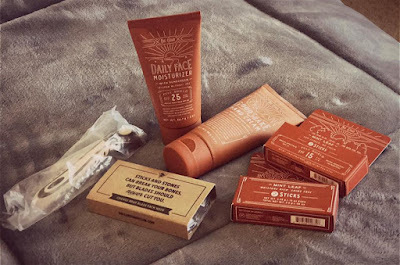 I love Dollar Shave Club! My husband and I both use their blades.